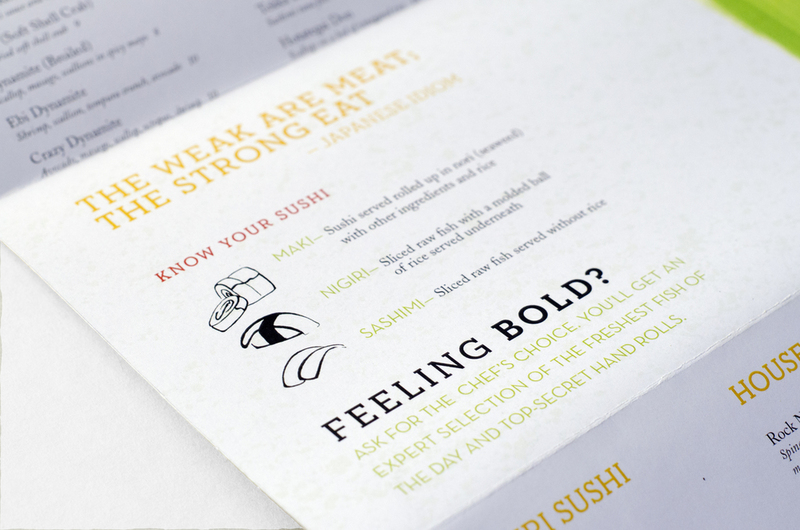 Cafe Sushi is a BYOB Sushi restaurant located in the Old Town neighborhood of Chicago that needed a brand identity. The goal of the new system is to give a brave, nostalgic, and free-spirited character to the much-loved neighborhood restaurant. 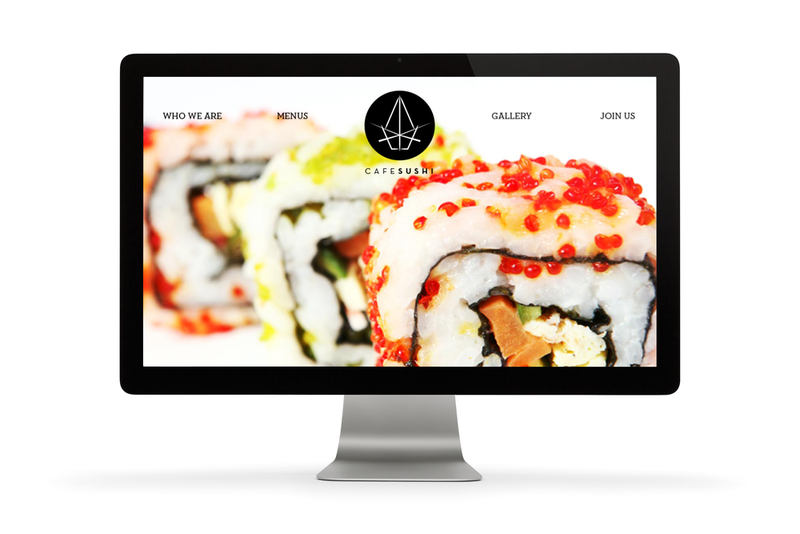 The logo represents a crane's wing, playing both to the meticulous and free-spirited nature of the sushi itself. The selection of a color palette was inspired by the vibrant sushi itself, while using seaweed paper and rice to create the patterns and secondary graphics. 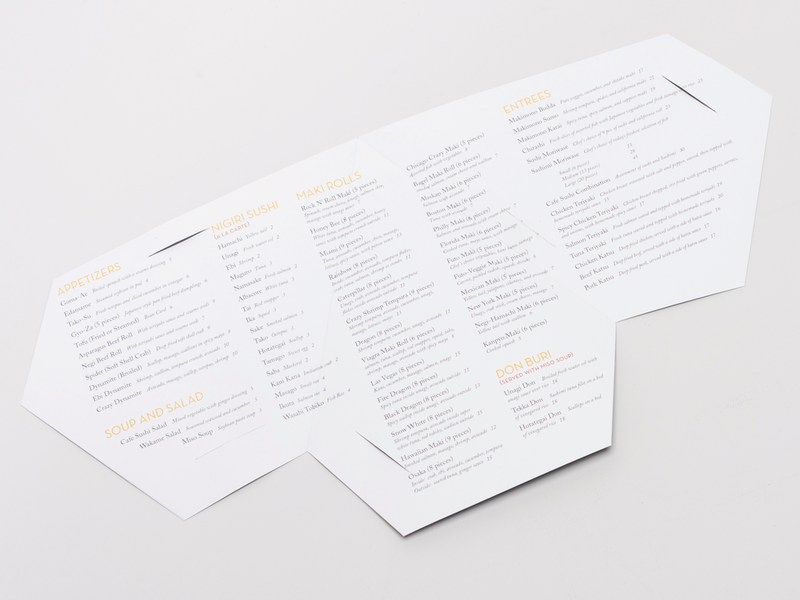 The resulting brand is one that will embody the freshness of the cuisine and appeal to the young Chicago crowd.